The blocks between the Prospect Expressway and Sunset Park, known as Greenwood Heights (or, if you’re a broker trying to sell someone on an apartment, South Slope), have seen a huge run-up in demand in recent years, as those priced out of Park Slope proper seek cheaper accommodations farther down the R train. Developers have been following close behind, filling in vacant and underused lots in the area. Earlier today, a new building permit application was filed for one such building at 198 19th Street, between Fourth and Fifth Avenues. The five-story building will pack 22 units into nearly 15,000 square feet of net residential space, for an average unit size of just 680 square feet – surely rentals (three on the ground floor, six on floors two and three, five on the fourth floor, and two at the penthouse level). While developers in the few prime parts of Park Slope that are zoned for development are building ever larger condos, more emerging areas like Fourth Avenue and South Slope/Greenwood Heights are still dominated by rental developers building smaller units. The architect is Sion Associates, led by Sion Hourizadeh. 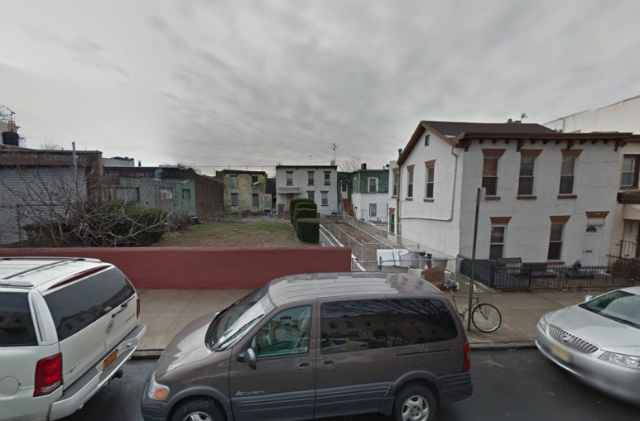 The developer of 198 19th Street is listed as Ryan Pedram of BKRP Inc., who also works with KP Developers (though they are not listed on the permit) and has developed a number of projects throughout the outer reaches of the outer boroughs. The strange 75-foot-wide property (which had four structures containing seven housing units, for which a demolition permit was filed in September) has not yet been officially sold to the developer, with city records indicating that it’s still owned by the D’Annolfo family, in possession of the property since at least 1983.